By Xah Lee. Date: 2010-03-17 . Last updated: 2013-09-21 . Solid-state drive has come of age! When i started using a computer, in 1990, the standard hard drive capacity is 20 mega bytes. Its physical size is larger than a big hand, weights like a brick. It costs 5 hundred dollars. Today, a cheap $40 USB stick has 32 giga byte capacity. Its size is about 1 finger, and weights like 2 pencils. The capacity is 800 times larger, price is some 10 times cheaper, physical size is perhaps 30 times smaller, weight is perhaps 50 times smaller. Access time and thru-put, is some 50 or more times faster. Solid-state drive has come of age! So, looking in the near future, hard drive is about to go extinct. Many small laptops already don't use hard drives. They have solid-state drives, i.e. a storage device that does not have mechanical moving parts. So, when would majority of consumer laptops use solid state drives? I'd say in 4 years. Also, optical disks, such as DVD, and recently Blu-ray Disc, doesn't seem to have a bright long-term future. They just seem too unwieldy and slow. Faster start-up because no spin-up is required. Faster random access, because there's no read-write head. No more file fragmentation problem. Silent operation due to the lack of moving parts. Low power consumption and little heat. High mechanical reliability, because no moving parts. Ability to endure extreme shock, high altitude, vibration and extremes of temperature. Flash SSDs have twice the data density of HDDs. Failures occur less frequently while writing/erasing data. Here's some of the best ones, after reading lots reviews. USB 3.0 speed is significantly faster. The Wikipedia article on SSD mentions SRAM, DRAM, Flash Memory. So, what are they? Here's a simple explanation. Broadly speaking, “Memory” and “Disk/Drive” are all data storage devices. Those that are fast, are typically called Memory, and typically has smaller capacity. Those that are slow, usually with large capacity, are called Disks or Drives. Storage tech can be volatile or non-volatile. Volatile are those needs electricity to maintain their state. (i.e. they need batteries) Otherwise, it's non-volatile. Paper, records, CD, DVD, hard disks, are non-volatile. Non-volatile tech usually can have large capacity. Solid state storage devices, can use volatile or non-volatile techs. The most common non-volatile tech, is called Flash memory. 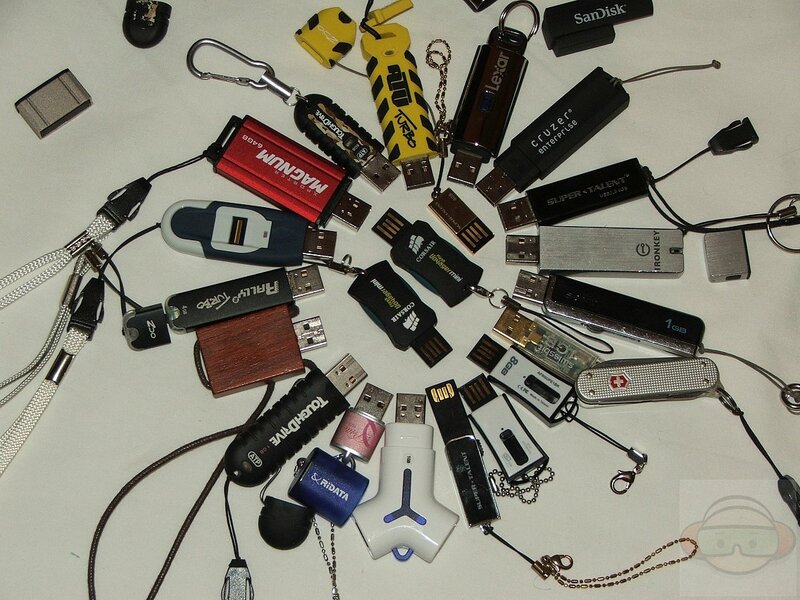 It is used in USB disks. Now, there are 2 types of commonly used volatile memory. Static random access memory (SRAM) and Dynamic random access memory (DRAM). Both are volatile. The difference is that DRAM requires constant electric recharge, or refresh, for its memory to stay. Both SRAM and DRAM, need batteries, but DRAM need constant refresh. A bit technical here. Now, a Solid-state Drive can use non-volatile tech, for example: Flash Memory, or it can use volatile tech, for example: SRAM or DRAM. But basically, when the capacity needs to be large, it is non-volatile, for example, Flash Memory. For a efficiency and elegance nerd, hard drive can't really be liked. You have seen a phonograph, right? You know, a (plastic) disk that spins, with a head/needle that reads the data. The heart of the hard drive tech is like that. The spinning disk(s) is called platter, and the needle is called the read/write head. Ultimately, such device can't scale (grow). To make it faster, ultimately it needs to spin faster, but spin rate has physics limitations. To make the capacity larger, you have to either increase the physical size of the disk, or increase the density (like shrinking the grooves on a record). Both reaches physics limitations quickly. Another way to make it faster is to have multiple disks and multiple heads. Having multiple disks is mechanical complexity, with physics restraints, grows in physical dimension fast. Making it to use multiple heads per disk layer has many engineering problems, best described as “head collision”. Optical drives, such as CD, DVD, are all like this. They can't grow. Today, SSD is in your cellphone, iPods. speaking of iPod… that reminds me of jukeboxes, and the incredible technological advance i lived thru, in the past 20 years. Remember Jukebox? In the 1990, when you want to play a whole collection of music, you use jukebox. It is sized like a refrigerator. Costs thousands of dollars. Today, you have iPod. Sized smaller than your hand, with capacity that's a thousand times more, not to mention music fidelity. Tech Solving The World's Problems? Speaking of tech advances, i can feel many tech geekers feeling that the world's problems is all gonna be solved. LOL. Also, tech today can actually provide food for everyone, but that's not happening, and ain't like gonna be happening. You know, wars, massacres, famines, happens in parts of the world every day, all over. And, you seen homeless on the city street asking you for a quarter, right? That is the human problem, a problem of human nature. This human nature, human animal problem, may not go away in a million years.